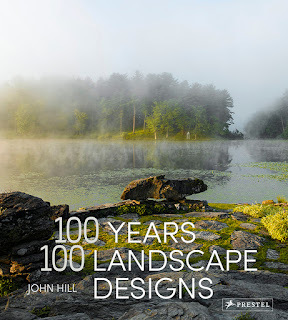 Published to coincide with the opening of Kuma’s new Victoria & Albert Museum in Dundee, Scotland, with the architect’s direct involvement, this volume, expanded to include five new projects, offers unparalleled insight into the mind of one of the great architects of the twenty-first century. 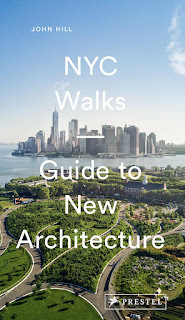 In the realm of architectural monographs, what constitutes a "complete works"? The most obvious precedent for such publications is Le Corbusier's Oeuvre Complete, which was produced in eight volumes from 1929 to 1970. 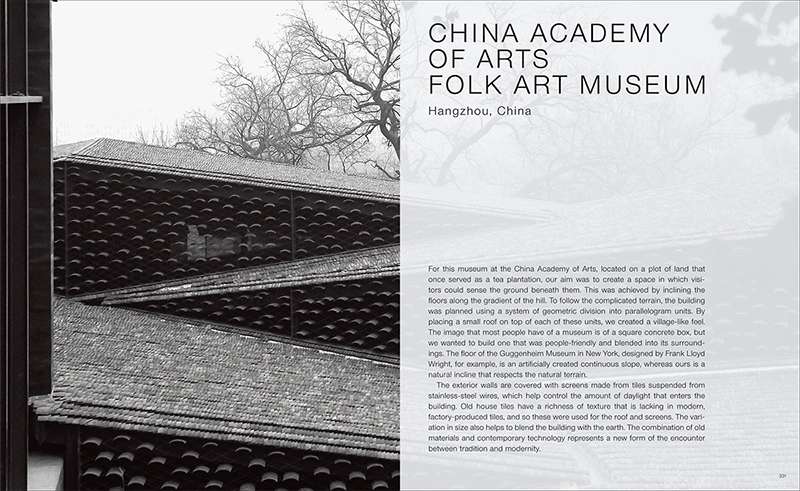 Some architects have used the same tactic, producing a series of "complete works" over time in a series. One of the best is Renzo Piano's now five-volume set, all published by Phaidon and done with Peter Buchanan. Another approach to the "complete works" is a single volume that is updated over time. Such could be the case with Frank O. Gehry: The Complete Works, which was first published as a 614-page hardcover tome in 1998 and then reprinted in paperback five years later. Best I can tell, it was going to be updated in 2012 but that never happened for reasons I don't know. Regardless of the apparent lack of updates, I love the 1998 book for including every building and furnishing Gehry designed, from the high to the low, the known to the unknown; it is exhaustive and therefore indispensable. Other architects given single-volume "complete works" include Tadao Ando, Shigeru Ban, and Zaha Hadid (all done by Taschen). 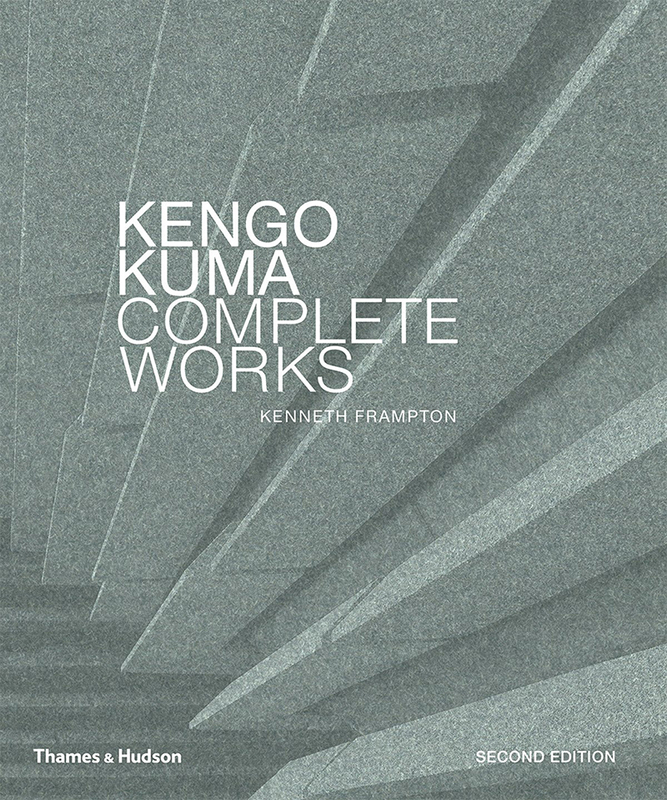 Receiving a copy of the second edition of Kengo Kuma: Complete Works, I thought I was getting something akin to the Gehry monograph, with documentation on all of the Japanese architect's output. Unfortunately it's far from that. 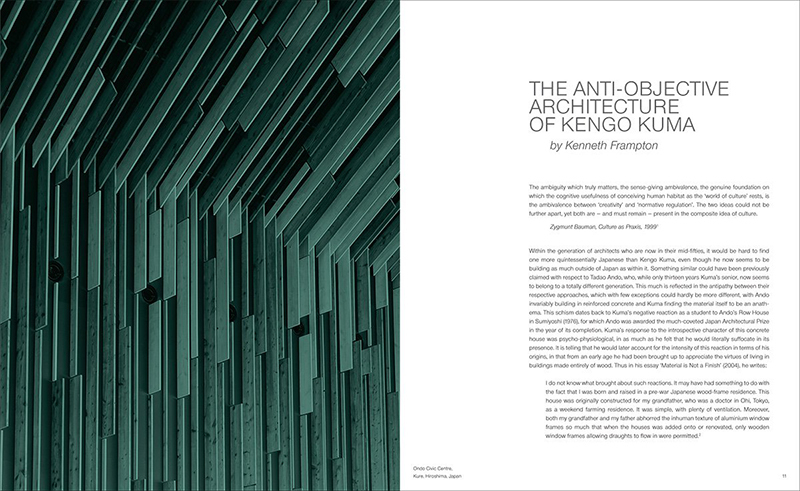 The hefty book presents 30 completed buildings by Kengo Kuma and Associates, far less than the "complete" output of the prolific architect. (In fact, the "Architecture" section of Kuma's website shows completed buildings in a grid of 30 projects -- and there are nearly 6 full pages of them!) The only thing that makes this monograph a "complete works" is the chronological list of projects at the back of the book; but a list doesn't make a "complete works." 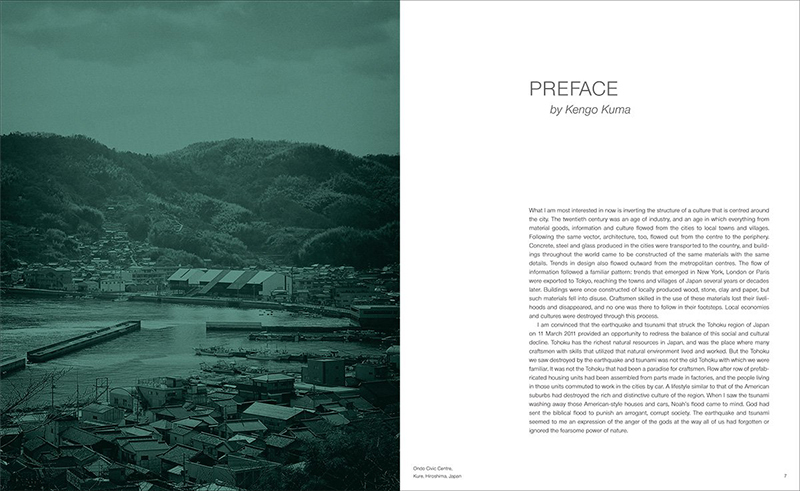 When seen as a more traditional monograph, in which those 30 buildings are grouped into thematic chapters by prevalent building material and follow a scholarly essay by Kenneth Frampton, it's a very good book, one that makes a good argument for Kengo Kuma to one day receive the Pritzker Architecture Prize. But as a "complete works," the book is deceitful, disappointing. Thames & Hudson should change the name of the third edition or offer a literal "complete works" for an architect deserving of the treatment. 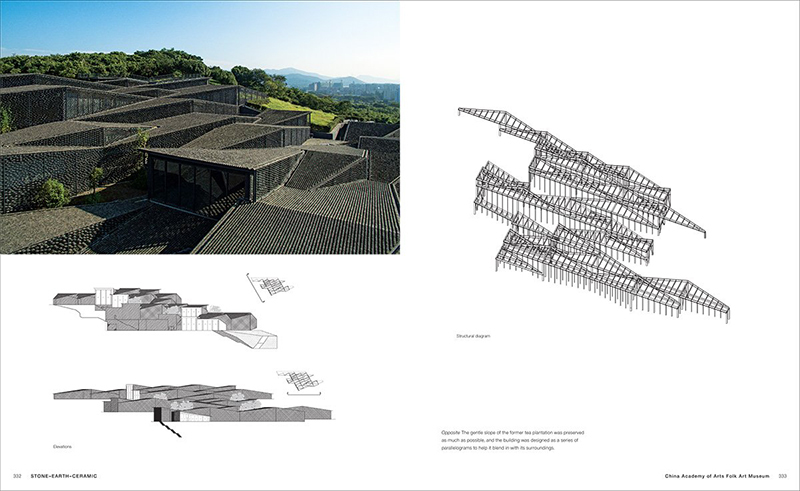 Kengo Kuma is a leading Japanese architect whose work artfully combines the country’s traditional building crafts with sophisticated technologies and materials. He is the author of several books, including Anti- Object and Kyokai: A Japanese Technique for Articulating Space. Kenneth Frampton is Ware Professor of Architecture at the Graduate School of Architecture, Planning and Preservation at Columbia University.